Jeff Immelt’s weak earnings swan song underscores the challenge for John Flannery atop the $222 bln industrial giant. Making quick progress on early goals is key, as Darius Adamczyk is doing several months in at Honeywell. With activists in both stocks, it should be a no-brainer. The logo of General Electric Co. is pictured at the Global Operations Center in San Pedro Garza Garcia, neighbouring Monterrey, Mexico, on May 12, 2017. 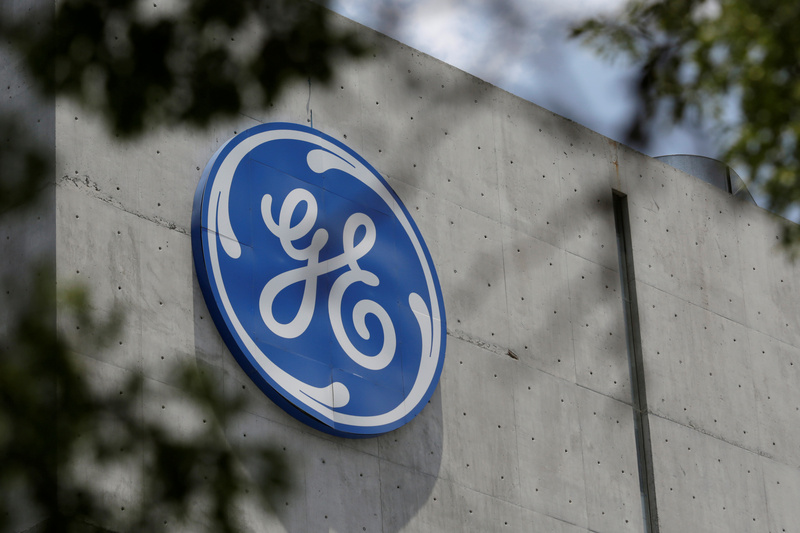 General Electric on July 21 reported net income attributable to shareholders of $1.2 billion for the second quarter, down 59 percent from the same period a year earlier. Earnings adjusted to strip out expected disposals were 28 cents a share, compared with the consensus estimate of sell-side analysts of 25 cents. Revenue of $29.6 billion was down 12 percent, largely reflecting the sale of the company’s appliances business. That exceeded analysts’ expectations of $29 billion. Cash flow from operations fell 67 percent in the latest quarter from the same period a year earlier, to $3.6 billion. Orders were up 6 percent, at $28.3 billion. The company reduced expenses by $700 million in the first half of 2017. Earlier this year GE announced plans to cut costs by $1 billion by the end of December in response to pressure from activist Nelson Peltz’s Trian Partners. Honeywell International on July 21 reported second-quarter net income attributable to common shareholders of $1.39 billion, a 5.5 percent increase on the same period last year. At $1.80, earnings per share beat the consensus estimate of sell-side analysts of $1.78 a share. Revenue of $9.9 billion beat the estimate of $9.89 billion. Activist hedge fund Third Point, run by Daniel Loeb, in April argued that Honeywell could increase shareholder value by $20 billion if it sold its aerospace unit. Revenue in that division fell 3 percent from last year’s second quarter, lower than the company had expected as organic growth helped offset income lost from selling a part of the business. Aerospace’s operating margin, meanwhile, increase 1.4 percentage points to 22.3 percent. Honeywell also increased its outlook for the year. It now expects revenue to be between $39.3 billion and $40 billion, up from its previous estimate of $38.6 billion to $39.5 billion.